Is It Ethical to Deny Cancer Patients Functional Analyses? The ethical standards that govern human experimentation have become an important topic of discussion. Clinical trials are conducted to resolve medical questions while protecting the rights and well-being of the participants. Human subject committees known as Institutional Review Boards (IRB’s) not only confront questions of protocol design and patient protection but also the appropriateness of the questions to be answered. The Belmont Report (1979) defined three fundamental principles i) respect for persons, ii) beneficence and iii) justice. These have been incorporated into regulatory guidelines codified in the code of federal regulations like 45 CFR 46.111. One historical experience offers an interesting perspective upon contemporary oncologic practice. With advances in cardiac surgery in the1970s and 1980s, in both valvular and coronary artery bypass, an alarming amount of post-operative bleeding was being observed. To address this complication an enzyme inhibitor named Aprotinin was developed by Bayer pharmaceuticals. The drug works by preventing the body from breaking down blood clots (thrombolysis). This is critical for the prevention of postoperative bleeding. Concerns regarding its safety led to Aprotinin’s temporary withdrawal from the market, but those have been resolved and the drug is again available. After Aprotinin’s introduction, clinical trials were conducted to test its efficacy. Initial results were highly favorable as the drug consistently reduced post-op bleeding. By December 1991, 455 patients had been evaluated providing strong statistical evidence that Aprotinin reduced bleeding by more than 70 percent. Despite this, trialists continued to accrue patients to Aprotinin versus “no treatment” studies. By December 1992, more than 2,000 patients had been accrued and by October of 1994, the number had increased to more than 3,800 patients. Yet the 75 percent risk reduction remained entirely unchanged. Thus, 3,400 patients at untold cost and hardship were subjected to the risk of bleeding to address a question that had long since been resolved. In a 2005 analysis, Dean Fergusson et al, decried that it should have been evident to anyone who cared to review the literature that Aprotinin’s efficacy had been established. Further accrual to clinical trials beyond 1991 only exposed patients to unwarranted risk of bleeding, and had no possible chance of further establishing the clinical utility of the intervention. This stands as a striking lack of consideration for patient well-being. Fergusson’s review raises further questions about the ethics of conducting studies to prove already proven points. With this as a backdrop, it is instructive to examine functional profiling for the prediction of response to chemotherapy. Beginning in 1997, a cumulative meta-analysis of 34 clinical trials (1,280 patients), which correlated drug response with clinical outcome was reported. Drug sensitive patients had a significantly higher objective response rate of 81 percent over the response rate of 13 percent for those found drug resistant (P < 0.0000001). This was met by the ASCO/Blue Cross-Blue Shield Technology Assessment published in Journal of Clinical Oncology (Schrag, D et al J Clin Oncol, 2004) that cried for further clinical trials. A subsequent meta-analysis correlated the outcome of 1929 patients with leukemia and lymphoma against laboratory results and again showed significantly superior outcomes for assay directed therapy (P <0.001) (Bosanquet AG, Proc. Amer Soc Hematology, 2007). In response, a second ASCO Guideline paper was published in 2011. (Burstein H et al J Clin Oncol, 2011) Although the authors were forced to concede the importance of the field, they concluded that “participation in clinical trials evaluating these technologies remains a priority.” Most recently we conducted a cumulative meta-analysis of 2581 treated patients that established that patients who receive laboratory “sensitive” drugs are 2.04 fold more likely to respond (p < 0.001) and 1.4 fold more likely to survive one year or more (p <0.02) (Apfel C. Proc Am Soc Clin Oncol 2013). Each successive meta-analysis has concluded, beyond a shadow of a doubt, that human tumor functional analyses (e.g. EVA-PCD) identify effective drugs and eliminate ineffective drugs better than any other tool at the disposal of cancer physicians today. Not unlike those investigators who continued to accrue patients to trials testing Aprotinin, long after the result were in, oncologists today continue to clamor for trials to prove something which, to the dispassionate observer, is already patently obvious. If we now pose the question “Is it ethical to deny patients functional analyses to select chemotherapy?” the answer is a resounding No! The 2013 American Society of Clinical Oncology annual meeting, held May 31 – June 1, in Chicago, afforded the opportunity to report three studies. The first, “An examination of crizotinib activity in human tumor primary culture micro-spheroids isolated from patients with advanced non-small cell lung cancer,” reports our experience using the EVA-PCD platform to examine the drug crizotinib. 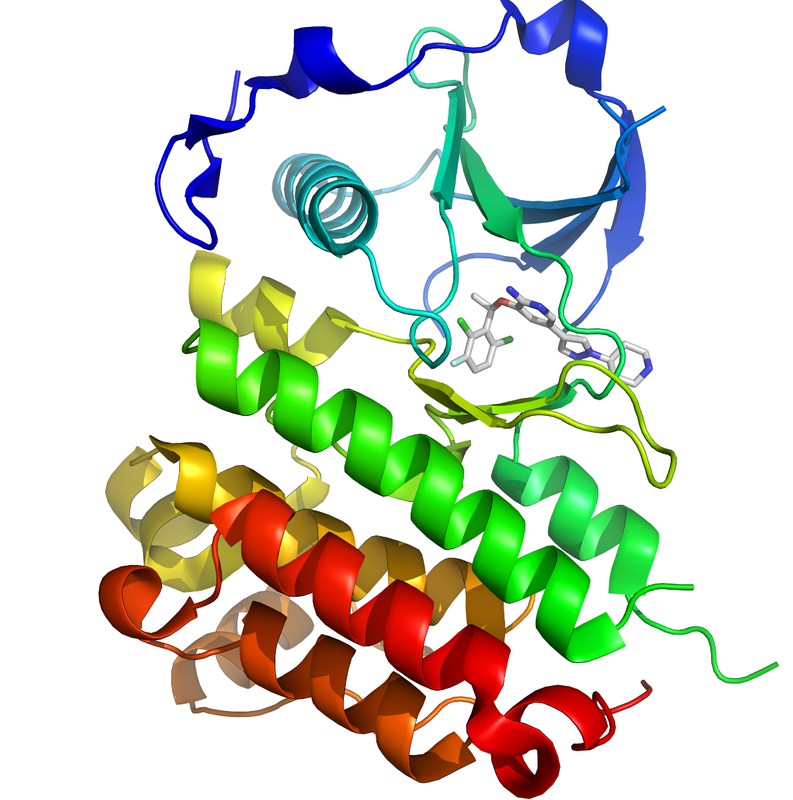 This small molecule originally developed as an inhibitor of the oncogenic pathway MET, was later found to be highly active in a subset of cancer patients who carried a novel gene rearrangement for anaplastic lymphoma kinase (ALK). It was this observation that lead to the drug (sold under the name Xalkori) being approved for the treatment of advanced ALK positive lung cancer. The subsequent observation that this same drug inhibited yet another gene target known as ROS-1 found in a subset of lung cancer patients, has led to its use in this patient population. Our exploration of crizotinib activity identified a series of patients who received the drug and responded dramatically. This included both ALK positive and ROS-1 positive patients. One patient however, appeared highly sensitive to the drug in our studies, but was found negative for the ALK gene rearrangement by genomic analysis. We repeated our functional analysis only to the find again, the same high degree of crizotinib sensitivity. I felt confident the patient should receive crizotinib, but at the time the drug was not yet commercially available and he didn’t qualify for the protocols, as he was ALK negative. A final patient in the series represented a particularly interesting application of functional analysis. The patient, a young woman with an extremely rare pediatric sarcoma, had failed to respond to multiple courses of intensive chemotherapy and her family was desperate. As she approached the end of her third year in high school, it looked unlikely that she would reach her senior year. A portion of her tumor was submitted for analysis. The results confirmed relative resistance to chemotherapeutics, many of which she had already received and failed, but showed exquisite sensitivity to crizotinib. Indeed, our inclusion of crizotinib in the analysis reflected our intense effort to identify any activity for this previously refractory patient. We reported our findings to the pediatric oncologist and encouraged them to consider an ALK rearrangement analysis, despite this particular pathway not being on anyone’s radar prior to our study. The result – a positive gene rearrangement. This led to a successful petition to the drug company for the use of this agent for an off-label indication. The response was prompt and dramatic, and remains durable to this day, nearly a year later. Again, the phenotypic analysis guided us to the correct genomic finding. Our other presentations at this year’s meetings will be reported in future blogs. In human experience, the level of disappointment is directly proportional to the level of expectation. When, for example, the world was apprised of the successful development of cold fusion, a breakthrough of historic proportions, the expectations could not have been greater. Cold fusion, the capacity to harness the sun’s power without the heat and radiation, was so appealing that people rushed into a field about which they understood little. Those who remember this episode during the 1990s will recall the shock and dismay of the scientists and investors who rushed to sponsor and support this venture only to be left out in the cold when the data came in. Since the earliest introduction of chemotherapy, the ability to select active treatments before having to administer them to patients has been the holy grail of oncologic investigation. During the 1950s and 60s, chemotherapy treatments were punishing. Drugs like nitrogen mustard were administered without the benefit of modern anti-emetics and cancer patients suffered every minute. The nausea was extreme, the bone marrow suppression dramatic and the benefits – marginal at best. With the introduction of cisplatin in the pre Zofran/Kytril era, patients experienced a heretofore unimaginable level of nausea and vomiting. Each passing day medical oncologists wondered why they couldn’t use the same techniques that had proven so useful in microbiology (bacterial culture and sensitivity) to select chemotherapy. And then it happened. In June of 1978, the New England Journal of Medicine (NEJM) published a study involving a small series of patients whose tumors responded to drugs selected by in vitro (laboratory) chemosensitivity. Eureka! Everyone, everywhere wanted to do clonogenic (human tumor stem cell) assays. Scientists traveled to Tucson to learn the methodology. Commercial laboratories were established to offer the service. It was a new era of cancer medicine. Finally, cancer patients could benefit from effective drugs and avoid ineffective ones. At least, it appeared that way in 1978. Five years later, the NEJM published an update of more than 8,000 patients who had been studied by clonogenic assay. It seemed that with all the hype and hoopla, this teeny, tiny little detail had been overlooked: the clonogenic assay didn’t work. Like air rushing out of a punctured tire, the field collapsed on itself. No one ever wanted to hear about using human tumor cancer cells to predict response to chemotherapy – not ever! In the midst of this, a seminal paper was published in the British Journal of Cancer in 1972 that described the phenomenon of apoptosis, a form of programmed cell death. All at once it became evident exactly why the clonogenic assay didn’t work. By re-examining the basic tenets of cancer chemosensitivity testing, a new generation of assays were developed that used drug induced programmed cell death, not growth inhibition. Cancer didn’t grow too much, it died too little. And these tests proved it. Immediately, the predictive validity improved. Every time the assays were put to the test, they met the challenge. From leukemia and lymphoma to lung, breast, ovarian, and even melanoma, cancer patients who received drugs found active in the test tube did better than cancer patients who received drugs that looked inactive. Eureka! A new era of cancer therapy was born. Or so it seemed. I was one of those naive investigators who believed that because these tests worked, they would be embraced by the oncology community. I presented my first observations in the 1980s, using the test to develop a curative therapy for a rare form of leukemia. Then we used this laboratory platform to pioneer drug combinations that, today, are used all over the world. We brought the work to the national cooperative groups, conducted studies and published the observations. It didn’t matter. Because the clonogenic assay hadn’t worked, regardless of its evident deficiencies, no one wanted to talk about the field ever again. In 1600, Giordano Bruno was burned at the stake for suggesting that the universe contained other planetary systems. In 1634, Galileo Galilei was excommunicated for promoting the heliocentric model of the solar system. Centuries later, Ignaz Semmelweis, MD, was committed to an insane asylum after he (correctly) suggested that puerperal sepsis was caused by bacterial contamination. A century later, the discoverers of helicobacter (the cause of peptic ulcer disease) were forced to suffer the slings and arrows of ignoble academic fortune until they were vindicated through the efforts of a small coterie of enlightened colleagues. Innovations are not suffered lightly by those who prosper under established norms. To disrupt the standard of care is to invite the wrath of academia. The 2004 Technology Assessment published by Blue Cross/Blue Shield and ASCO in the Journal of Oncology and ASCO’s update seven years later, reflect little more than an established paradigm attempting to escape irrelevance. 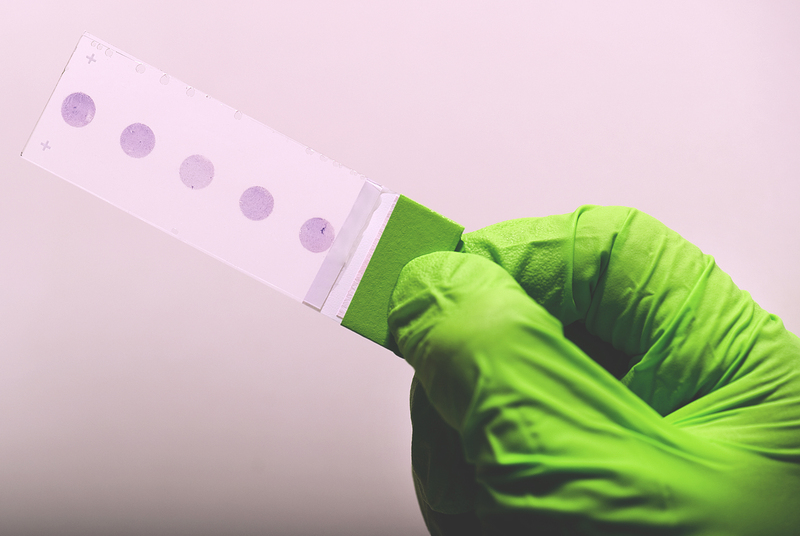 Cancer chemosensitivity tests work exactly according to their well-established performance characteristics of sensitivity and specificity. They consistently provide superior response and, in many cases, time to progression and even survival. They can improve outcomes, reduce costs, accelerate research and eliminate futile care. If the academic community is so intent to put these assays to the test, then why have they repeatedly failed to support the innumerable efforts that our colleagues have made over the past two decades to fairly evaluate them in prospective randomized trials? It is time for patients to ask exactly why it is that their physicians do not use them and to demand that these physicians provide data, not hearsay, to support their arguments. The rapid-fire sequence of the annual American Association of Cancer Research (AACR) meeting, held in May, followed by the annual American Society of Cllinical Oncology (ASCO) meeting, held in June, provides the opportunity to put scientific discoveries into perspective as they find their way from theoretical to practical. Members of AACR, the basic science organization, ponder deep biological questions. Their spin-offs arrive in the hands of members of ASCO as Phase I and Phase II trials, some of which are then reported at ASCO meetings. Many of the small molecules my laboratory has studied over the years are now slowly making their way from “Gee Whiz” to clinical therapy. At the ASCO meeting I attended many of the Phase I sessions, where alphabet soup compounds had their first “in-human” trials. As most of these compounds are familiar to me, I was very interested in these early, though highly preliminary, results. Departing from one Developmental Therapy (Phase I) session, with visions of signal transduction pathways in my head, I attended a poster discussion on triple negative breast cancer. For those of you unfamiliar with the term, it refers to an increasingly common form of breast cancer that doesn’t mark for the usual estrogen, progesterone, or HER-2 features. Often occurring in younger patients, this form of breast cancer can be aggressive and unresponsive to some forms of therapy. Much work has gone into defining sub-types of this disease and slow progress is being made. As I examined the posters, one caught my eye, “Clinical Characteristics and Chemotherapy Options of Triple Negative Breast Cancer: Role of Classic CMF regimen. (Herr, MH et al, abstract #1053, ASCO 2012.) What these investigators showed in a series of 826 breast cancer patients was that those treated with the oldest drug combination for breast cancer (CMF) did better than those who received the more modern and more intensive anthracycline or taxane-based regimens. CMF, originally developed by Italian investigators in the 1970s, was the principal therapy for this disease for two decades before it was replaced, first by anthracycline and later by taxane-based treatments. What struck me was the unexpected superiority of this old regimen over its more modern, toxic and expensive brethren. I began to wonder about other modern therapies and their real impact upon cancer outcomes. One study in HER-2 positive patients revealed relative equivalency between weekly taxol, every three-week Taxotere and Abraxane-based therapy. Once again, the cheaper, older, less toxic Taxol regimen proved superior. While most of the attendees at the ASCO meeting were considering how the newest VEGF inhibitor Regorafenib, or the addition of aflibercept, might impact their practices, I was somewhat underwhelmed by the results of these statistically significant, but clinically marginal survival advantages, all associated with great expense. As I pondered the implications of the CMF results in triple negatives and those of the taxol results in HER-2 positives, I considered other old-fashioned therapies with newfound potential. Among them, losartan, the angiotensin antagonist that influences tumor stroma or the results of an earlier published study that identified intraconazole (a widely available anti-fungal therapy), as an inhibitor of the hedgehog pathway. While the pharmaceutical industry promotes the use of vismodegib, a hedgehog inhibitor for basal cell skin cancer, and dozens of trials examine VEGF and FGF inhibitors, I wondered whether losartan or intraconazole or other simple compounds and combinations might not already provide many of the tools we need. Is it possible that effective treatments for cancer are at hand? At the 2012 American Association for Cancer Research (AACR) meeting recently held in Chicago, I again observed that the AACR presentations continue to diverge from those at the American Society of Clinical Oncology (ASCO). At this year’s meeting, I’m not sure I heard the word “chemotherapy” a single time. That is, all of the alphabet soup combinations that make up the sessions at ASCO are nowhere to be found at the AACR meeting. Instead, targeted agents, genomics, proteomics and the growing field of metabolomics reign supreme. Over the coming weeks, I will blog about some of the more interesting presentations I attended. However, I note below several themes that seemed to emerge. First: That cancer patients are highly unique. In one presentation using phosphoprotein signatures to connect genetic features to phenotypic expression, the investigator conducted 21 phosphoprotein signatures and found 21 different patterns. This, he noted, reflected the “uniqueness” of each individual. Additional themes included the growing development of meaningfully effective immune therapies. There was evidence of a renewed interest in tissue cultures as the best platform to study drug effects and interactions. Although virtually every presentation began with the obligatory reference to genomic analysis, almost every one of them then doubled back to metabolism as the principal driver of human cancer. Interestingly, the one phrase that cropped up time and time again was rational therapeutics. Although they did not appear to be referring to our group, it was comforting to note that they are at least, finally coming around to our philosophy.